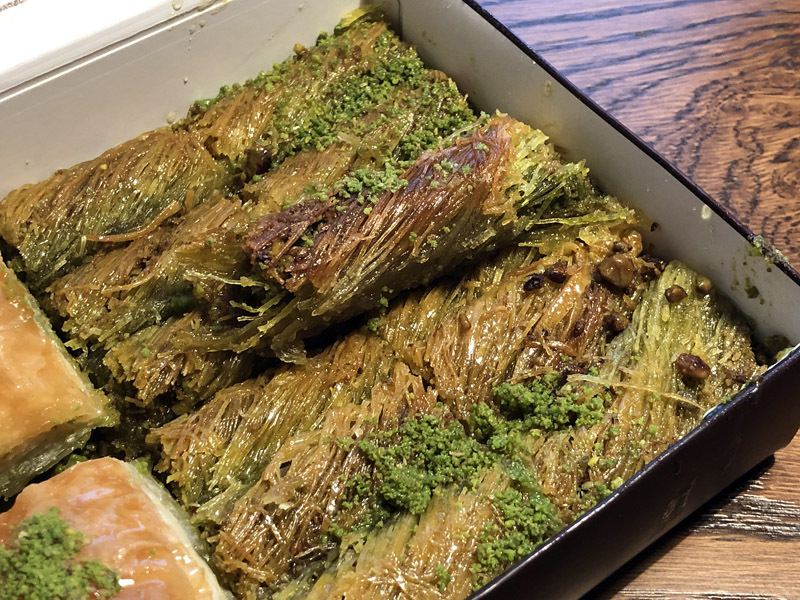 I’ve frequently read about baklava in the blog so far. I’m wondering how they make baklava. 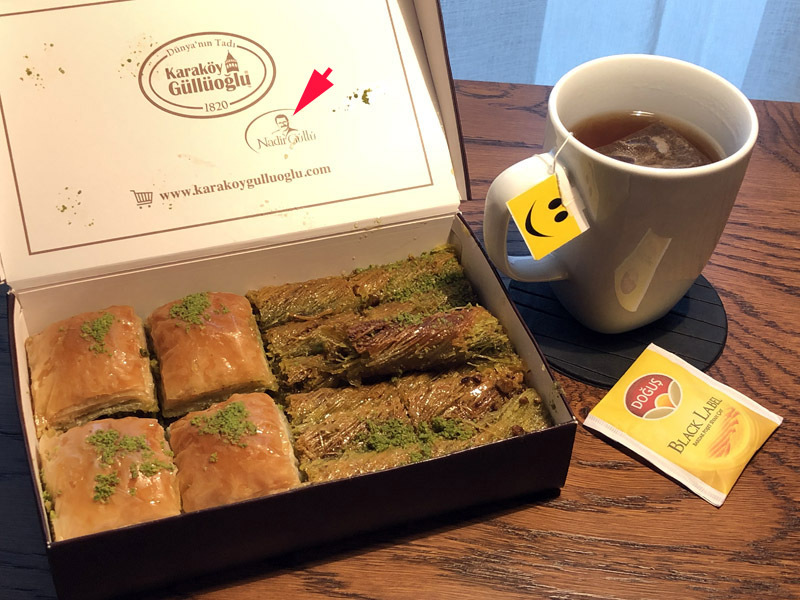 If I grabbed baklava from the shop, I’d learn it is made by hand and I‘d also enjoy an exclusive flavor of good quality. 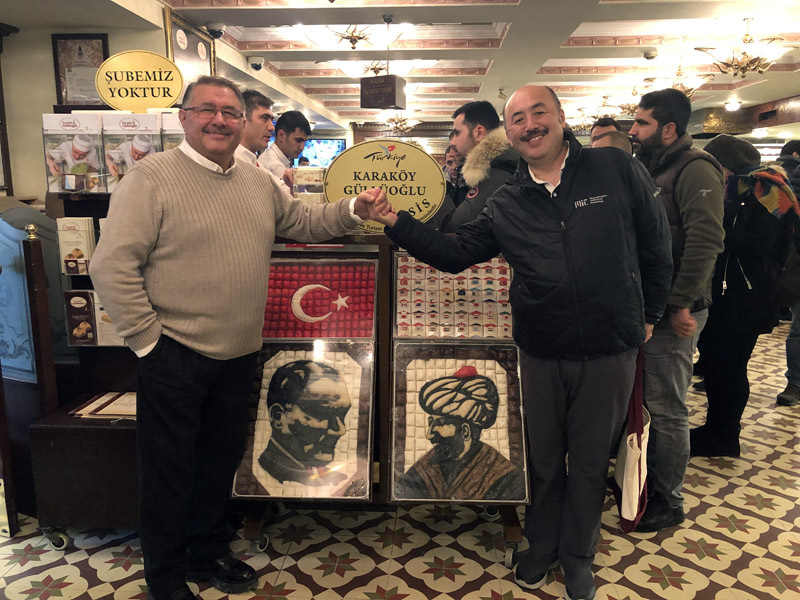 Every skilled person employed by Karaköy Güllüoğlu should not only be utilizing popular procedures but also be putting important approaches in use in his/her own way by which give effect of an individual taste. Anyway, you’ve found a special result of the world's most excellent dough, haven’t you ? The video by Discovery Channel would be the right one for you to learn how it’s made. Those thin and crisp baklava dough must be the key of the quality as well as the crazy sweetened syrup. I have tried other pastanesi but Karaköy Güllüoğlu is the best for me. No wonder their baklavas are being served on the long haul business class by THY.